I guess like me, most gardeners have got favourite plants, those they dislike and possibly some they've just ignored! Now I have a fairly eclectic love of plants which generally includes anything big, bold or colourful and in particular exotic looking plants. Amongst my dislikes there are rhododendrons - such lazy plants giving interest for just a few weeks a year and pampered orchids. Years ago I instigated the dispersal of a collection of Cymbidiums as I felt the glasshouse space could be better utilised. Horticultural heresy I hear you say! And now we come to the confession, that after many years of gardening I have never really given much attention to magnolias. Its not even as if I've never had the opportunity - when I managed University Park, I had 300 acres of mainly sandy acid soil. What a missed opportunity! Why the sudden revelation you might ask? Well I guess its the unseasonal weather that has brought them out superbly this year and there seem to be so many wonderful specimens in ordinary gardens here in the Midlands. One of the most widely grown is M. x soulangeana, actually a hybrid between M. denudata x M. liliiflora which gives spectacular displays of goblet shaped white flowers flushed with apple-blossom pink and rich purple. It is said to have been bred in France in the 19C but similar forms from earlier crosses originated in Japan long before this. There are various particular named clones such as the following wonderful hybrid. 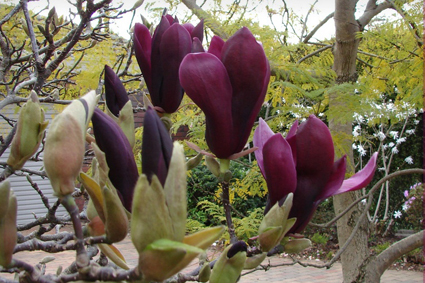 There is another deep purple form, correctly named M. liliiflora 'Nigra' and sometimes called the black magnolia (nothing to do with the rock band!) This is another hybrid and was introduced from Japan in 1861. 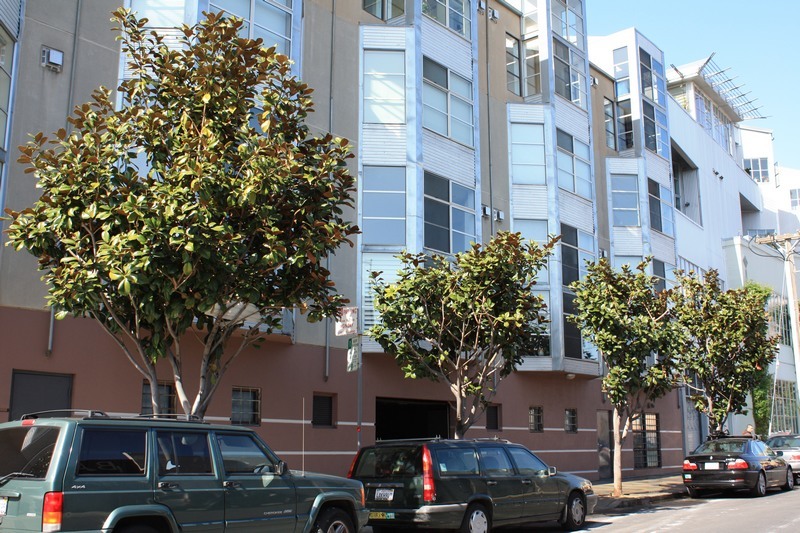 A couple of years back I spent some time walking the alpine streets of San Francisco, checking out the wonderful range of trees planted there, mostly by the 'Friends of the Urban Forest'. Amongst the many species growing there, I was surprised to find whole streets lined with thriving Magnolia grandiflora. 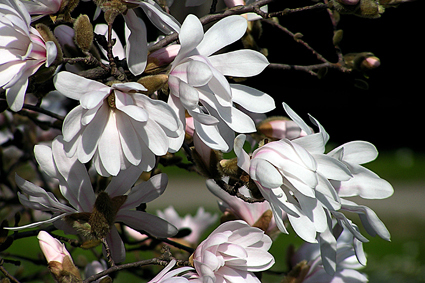 This is one of the few evergreen magnolias, although there are several named cultivars. In the UK it is usually grown as a wall plant to give it a little extra protection and huge mature plants, reaching the roof line are sometimes seen on old houses. Sadly its beautiful creamy white bowl-shaped flowers are rarely visible, hidden at the tops of the plant. For planting in the UK, the cultivar 'Exmouth' is regarded as being particularly hardy. M. delavayii is also evergreen and has creamy yellowish flowers. 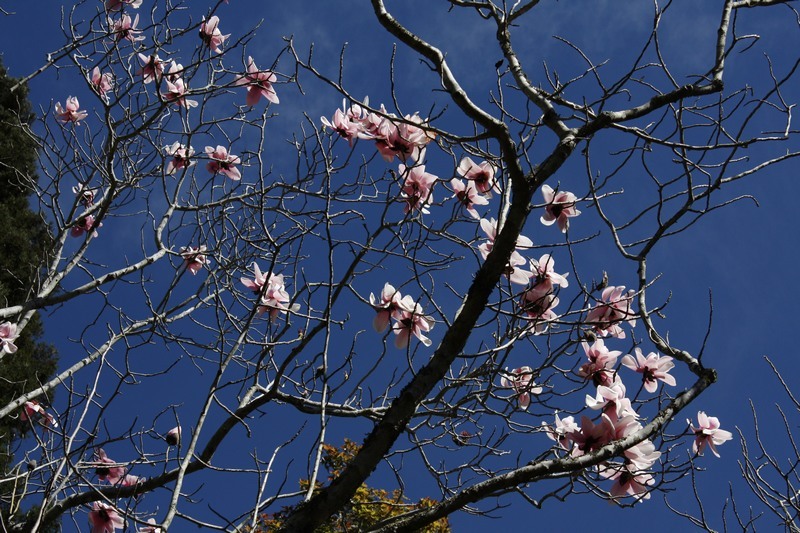 Magnolias are really mostly trees, although they are usually bought as relatively small 'bushy' plants which often gives the wrong idea about their eventual size. Because of this they are often planted in the wrong location or not given enough space to properly develop. Inevitably they are then over-pruned and the result can be disastrous. 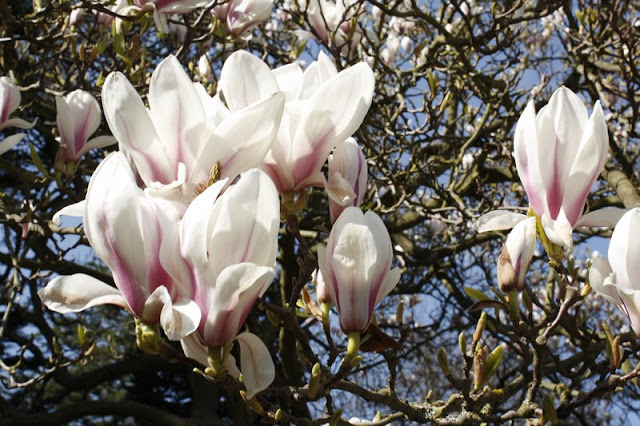 The delicate Magnolia stellata is a more compact species growing to about 3m and is particularly good for small gardens. 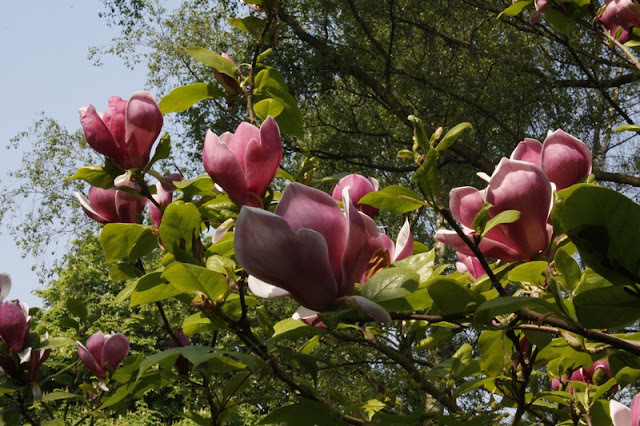 One of the few magnolias that I have used in garden designs, is the wonderful pink cultivar 'Susan'. 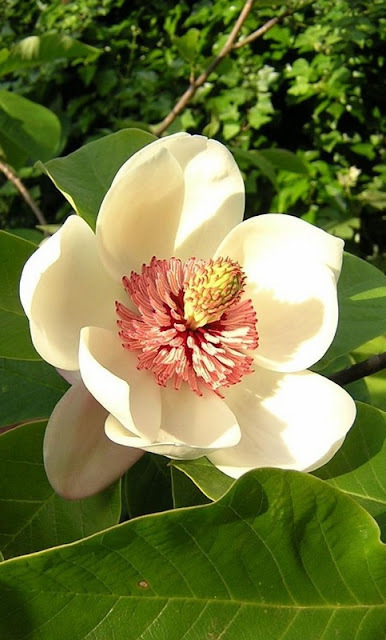 This is one of a group of eight hybrids between M. liliiflora and M. stellata raised in the National Arboretum Washington and called the eight little girls, being named after staff members or their families. 'Susan' is probably the best know but all are compact and floriferous. Now after researching and writing this piece I cannot for the life of me think why I didn't fall in love with them years ago! I shall have to find a spot for just one in my tiny garden - I guess a plant of 'Susan' for those vivid ruby flowers!